What is going on here? Is there some kind of epidemic amongst women and no-one is talking about it? My mother has been taking thyroid hormones for years, as has my paternal grandmother. 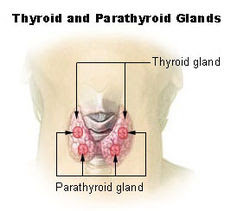 I would say that 50 percent of my female friends have or have had some kind of problem with the thyroid. Two friends this week told me they are having theirs tested. And now all these other women that J is randomly coming into contact with. And in a lot of these cases, the thyroid gland isn't working properly because it is being attacked by the body's own immune system. Why am I mentioning this here, on a blog about writing? Because when I had my first bout, almost seven years ago, which knocked me out for several months, my chiropractor, who is much more than just a manipulator of joints and gives advice on diet, nutrition and emotional well being, said: "Look where this gland is. It's in your throat. This is all about expression. Self-expression. Expressing your creativity." This made a lot of sense to me at the time. I wasn't writing, I was just beginning to listen to that small voice which was saying "Isn't there something else you're supposed to be doing? Is what you're doing now really satisfying you?" Of course, I am most definitely not saying that everyone is responsible for their health problems, that we bring it on ourselves. As someone who did study science,I know very well that "cause" and "effect" are loose concepts, difficult to determine in any situation. I can only speak for myself. What I have experienced is that stress makes this much, much worse, and I am stressed when I am not expressing myself creatively. Of course, there are many other sources of stress. This latest bout came at a time of enormous pressure which both has to do with the product of creative expression (my book) and nothing at all to do with creativity (selling my book). In some ways, this "systems crash" has given me what I secretly wanted: an excuse to stay home, stay very very quiet, not talk to anyone, about me, about my book, about my writing. To hibernate, basically. In a strange way, my body gave me what I wanted because I didn't know how to do it myself. So, I am writing this in the hope that others will come and share their stories. Is this some kind of epidemic? What are we doing to ourselves that one of the most important glands in the body, is being attacked by the body itself and we cannot function properly? There is no cure for this, the few options being offered involve taking synthetic versions of the hormones the thyroid gland is supposed to be producing. And apparently the most popular brand of this synthetic hormone is the fifth most prescribed medication in America! If you Google "thyroid" and "epidemic" you get all sorts of things talking about too much soy, too much fluoride, etc... I am sure none of us is eating well enough, doing enough exercise etc.. But I am worried. This really worries me, and not just because it is affecting me. Is anyone paying enough attention here? This really shouldn't be happening, right? What are our bodies telling us? I was absolutely delighted to discover last week that I've been awarded a "making lemonade out of life's lemons" blog award by the wonderful poet and writer Carolyn Jess-Cooke who blogs at the Risktaker's Guide to Endorphins. She says of the ten blogs she chose for the award that: "these blogs make me see life with new eyes. They make me laugh, cry, and want to sing/be a better photographer/bake more." Is this not another example of what I talked about in my blog below, the constantly-astonishing kindness of other people who are under no obligation to be this nice? It makes me very happy to know that my blog posts don't make anyone want to tear their hair out but rather might just inspire at least one person to bake more. Thank you Carolyn! I am looking forward to visiting the other nine blogs on her list, eight of which are new to me. Talking of new blogs, Carolyn has commanded us to share the love by passing on the award to blogs which show a great attitude or gratitude. I want to do something a little different and welcome several new blogs to the blogsphere instead, with the potential to do something very interesting with lemons! 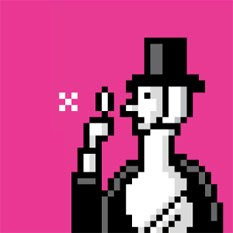 Annie Clarkson, a long time MySpace blog veteran, has finally arrived in the outside blog world with Forgetting the Time, thankfully enabling us to follow her blog posts without all that complicated MySpace sign-in and stuff. The purpose of Forgetting the Time, says Annie, a poet and short story writer (whose beautiful collection, Winter Hands, I reviewed on The Short Review) is " notes and reviews on writing, inspiration and how to get lost in words". Her latest blog post talks about the film The Lives of Others, and in particular how it explored the situation for artists and writers in Communist Europe. Writer Tom Vowler has just received an Arts Council grant to write his second novel, and has set up the How to Write a Novel blog to document his process (0 words out of 90,000 so far!). He says of the blog: "Come see the novel writing process stripped bare. From flashing cursor on a blank page to pitch and publication. Follow the highs, the lows; the twists and turns; the agony and (occasional) ecstasy. Read extracts. Offer feedback. 'Write a bad short story and you've wasted two weeks; write a bad novel, you've wasted two years.' I've no idea who said this but it's worth dwelling on. Book reviews, interviews and other literary topics too." His latest blog post describes, with beautiful photo, how his research took him into the woods in Dartmoor. And a nearby pub. For research. Hmm. My good friend Devorah Blachor, writer and mother of toddler Cai, has always been a great cook. The Eco-Baby Cookbook is an ever-growing collection of her recipes using every ingredient including leftovers. She says: "On this page, I'll share ideas about how to cook for babies and adults in one go. Using every ingredient so that nothing gets wasted, this blog minimizes time in the kitchen while maximizing your menu. "Let's just say that Fettucine with Caper and Chicken Ragu ain't just for small mouths. Her latest post is a recipe for Caprese Rice with Canneloni Beans. And there are pictures. Mmmmmmm. I stumbled upon Pippa Goldschmidt's blog The Write Reality when I followed a link to a short story competition being run by the Genomics Forum. Pippa began a stint as writer-in-residence at the forum a few months ago, and says of her blog: "I'm interested in musing on the relationship between fiction and science." What can I say, a woman after my own heart! Her latest blog post muses on the concept of time in science and in fiction. Thought-provoking stuff. All these blogs and more are in my blogroll to the left. I know, I know, so much to read and so little time! 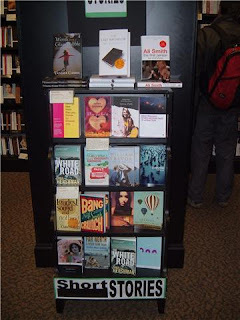 This is a pic of a Waterstone's branch and their featured short story section: Lee's new collection, Everyday, (which we will be reviewing shortly on The Short Review) is on the right hand side, third row from the bottom. And it is accompanied by not one but two copies of The White Road and Other Stories (temporarily out of stock again in the UK, which is why the Amazon widget to the right is offering it for £40 (!!!) - next print run underway). I can also spot Vanessa's fabulous Words from a Glass Bubble, Clare Wigfall's excellent The Loudest Sound and Nothing, Ali Smith's The First Person and Other Stories (review coming soon), the Bristol Short Story Prize anthology, Alison MacLoed's amazing Fifteen Modern Tales of Attraction, Neil Smith's Bang Crunch (on my to-read shelf) and collections by William Trevor and Katherine Mansfield. A Waterstone's with great taste! I'm pretty sure I've said this before but no harm in repeating myself: I am sometimes just bowled over at how kind and generous people are, especially those who don't know me, have never met me. The last few days has really brought this to the fore: people offering me all sorts of things, from places to stay (London, Bulgaria!) to books to ayuverdic tea. I wanted to say a public thank you, to put a little bit of that karma back out there, to pass it on. It always means a lot, but it is especially meaningful when I am feeling low. "We had a great discussion - even the man who didn't like short stories, science or magic realism said it made him think and widened his reading horizons. ... Those of them who didn't manage to get hold of the book are now going to do so and read it, and they're more open to looking at short stories again because of it so a great success." I was extremely moved that someone who initially didn't seem as though he would like anything at all about my book might actually now feel differently. What more can a writer ask for from a reader? Thank you so much, Anne, for bringing it to your group, it means so much to me. The book is the collection of a series of illustrated blog posts published in the New York Times in 2006 and 2007. It is moving, witty, intelligent, thoughtful, amusing, entertaining, quirky, personal and universal. 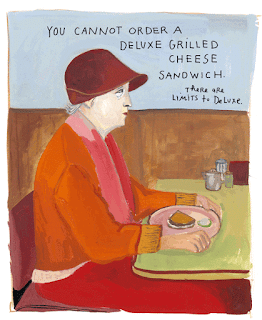 She talks about creativity, about art, about life, people, war, peace, honey cake, uncertainty, Paris and hats. She shows us life through her canvas, her words, her camera. I am going to get myself a copy, I feel that this is a book I will need around, will want to keep reading. This is what friends are for: to lend friends the books they think they need to read. So, this is my recommendation today. Visit Maira's site, or just go and buy the book. I was just listening to a New Yorker Fiction podcast while doing many other things - writing the previous post, playing online scrabble stuff, but the short story that they were reading, Last Night by James Salter, was so incredibly powerful, even in the snatches I heard, that my heart started beating much faster. I was just commenting on the stories I was critiquing about how a reader is liable to stop reading a short story at any point, if they aren't gripped, if they are bored, confused. Well, this is the amazing illustration of that point: I couldn't not listen to this story, it is so gripping that it tore me away from all distractions. Stunning. Click here to listen to the podcast. I hadn't realised until I didn't have any how much energy it actually takes to write fiction. I hadn't noticed until I got to a point where I found it hard to focus on anything for more than a few minutes, how much the writing process requires sharp focus. I always feel energised after being in that writing zone, that place where it's all flowing. It doesn't feel like I am using up energy, it feels as though I am creating energy. But this process obviously needs fully-charged batteries. And mine are definitely depleted! Or it may be that I should force myself to write, that this might actually have a positive effect. I don't know. It doesn't feel like that. I want to write, but feel an inertia I can't get past right now. I am trying to listen to the signs my body is giving me. I will wait a little bit. See what happens. In the meantime, I have been critiquing the stories of my students on the workshop I have just begun co-teaching, but sadly won't be able to take the session I was supposed to lead tonight, since I can't actually leave the house. I have sent my comments to my co-teacher for him to read out. I do hope they prove useful. I was really looking forward to it, but it is in another city, a long drive, as well as requiring me to focus for two hours, as well as it being my first time. All too much. My next workshop is in a month. Let's hope I'll make that one. The good news is that after almost four weeks, The White Road and Other Stories is now back in stock in the UK! Whee! I don't imagine I will be reliving all that chasing-the-clock-radio-up-the-bestseller-list fun and games again, that was then, and now I need things a little calmer. But it's nice to know that there are copies, and with a quote from the lovely New Scientist review on the front, in case anyone wants to get one. The other good stuff is that in the past few weeks two literary magazines have asked me to submit, coming hot on the heels of Smokelong. Three solicitations is very nice. I know that being solicited certainly doesn't guarantee publication, nothing ever guarantees publication (except good Scotch, perhaps? ), but for me this is a milestone, this tells me there has been a shift. Is it because of the book? I don't know. Maybe it's more to do with the book promotion than the book itself, I've spent a lot of time spreading the word and getting my name out and about. Well, I can't second-guess, I am just pleased about this, especially since one of the lit mags, a US publication, I hadn't heard of but really like the sound of, and the other is a UK mag I had submitted to unsuccessfully in the past. Will keep you updated! 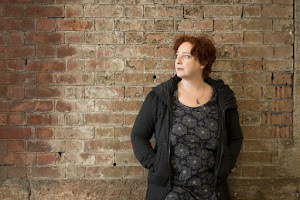 Elizabeth Baines is a writer of prose fiction and prize-winning plays for radio and stage. 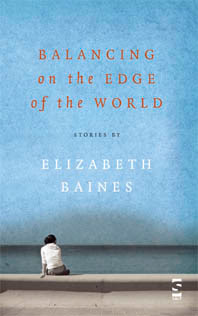 Her short story collection, Balancing on the Edge of the World, was published by Salt in 2007 and was long-listed for the Frank O'Connor International Award for the Short Story 2008. Her novel, Too Many Magpies, will come from Salt in late 2009. Elizabeth was born in South Wales and now lives in Manchester. She has been a teacher and is also an occasional actor. She writes the critical-commentary blog Fictionbitch and also has her own author blog. For more on the other stops on the Virtual Book Tour, visit Salt's Cyclone tour page, and the tour's Facebook group. For more about Elizabeth's short story collection, read the review in The Short Review. Now I have to start thinking about what I am going to ask her. Looking forward to it! "The Accident", a short story by Allan Reader in Memorious, an online lit journal new to me (thanks Matt Bell for the recommendation). "I Never Asked You", a poem by Lee Stern in Pank Magazine, another online&print lit journal I have just stumbled upon. "The Drunk as a Kind of Beautiful Wolf", a prose poem (I think!) by James Grinwis, also in Pank. Ninth Letter, a print journal the size of a telephone book, stunningly designed, and with wonderful writing. I can't link to any of the content here, but I highly recommend buying an issue. "An Unhappy Man", a six-sentence long flash story by Nik Perring published in Six Sentences. 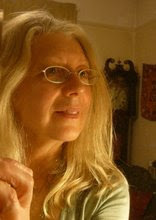 "Cigarette Vignette", the winning short story in the Vignette Press short story contest, by Bernadette Rafferty. Now published in print as part of their Mini Shots. I have just put up a post on The Short Review blog with a round-up of short story collections and anthologies being published this month. 58 so far... who says no-one's publishing short stories? Check out the list, let me know if I've missed something. Thanks to J for the excellent suggestion - special offer! 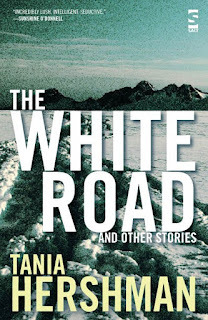 While The White Road and Other Stories is out of stock everywhere, which I am assured will be remedied next week, I still have a number of copies that I am happy to (sign and) send to anyone around the world. Email me at tania(at)thewhiteroadandotherstories.com and we can discuss costs etc..! Alternatively, the Where to Buy page on the book's website lists other ways of ordering the book, although there might be a little delay. Sorry about that. I believe there are copies in various libraries, the "green" alternative (although don't let my publishers know I'm saying that!). Thanks and happy new year of reading. Read the rest of the article in The Atlantic Online. As is often the case with humor, there is much truth in here... for me, at least! Who among us with light Internet addiction couldn't do with a bit of "blocking"? As you might imagine, during these times I am coming up against quite a lot of anti-Israel sentiment and feel - as many of us do - compelled to try and provide counterarguments to at least balance things out, directing people towards sources of reading that might provide information that their own media don't. That kind of thing. (In case you're wondering, this blog post isn't going to be about politics or war, it just raised something interesting for me in terms of writing.) So, anyway, today I stumbled upon a Facebook discussion about the situation here and I realised something: the one person who was attempting to persuade the rest of Israel's point of view was doing it with facts and figures: this is how long X has been going on, this is how many rockets Y has fired etc... Yet, the others were expressing how they felt about the situation, about how many people had been killed. Facts versus emotion? A losing battle. Is anyone going to be persuaded to change how they feel, their gut reaction, by statistics? I don't think so. Logical arguments versus passion and belief? OK, how does this tie in to writing? It happened that today I was critiquing a short story and I had to keep stopping to write in the margin: "Too technical" or "This sounds like journalism". I won't go into specifics but there were so many facts that it sounded like the author was trying to teach me something, and that is not what I feel literature should be for. The most beautiful and touching passages in this story were the ones where the author wrote about people, what they thought, how they reacted to the situation. Emotion. That is what touches me as a reader: human responses to situations. Yes, there are probably a minimum number of facts that are necessary to set the scene, but after that, I don't want to be taught anything, to be informed. I get irritated, it throws me out of the narrative, it confuses the narrative. Don't confuse and irritate your reader! I can see how those on the receiving end of many facts and figures about the conflict here might similarly be irritated and confused. They are expressing emotion and are met with numbers? 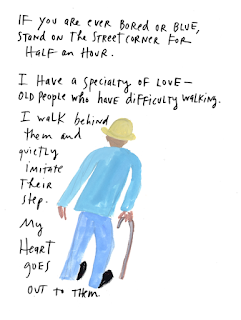 So, when I respond, which I am trying not to do too much because it is very exhausting and distressing, I talk about how it all makes me feel, and that what I am feeling can be more than one thing at a time, can be compassion as well as concern for security. This was excellently expressed in my opinion in this article from the Huffington Post in which Marty Kaplan talks about how his feelings change with every newscast, every picture he sees from Israel or Gaza, everyone he hears interviewed. We humans are complicated, we are able to feel more than one emotion at a time, and this is not just permitted it should be celebrated - otherwise we would all be Star Trek's Mr Spock. We are irrational and passionate. The greatest literature is that which manages somehow to convey this ambiguity, this mess, this lack of clarity. Nothing in this world is ever black and white, and that, surely, is what makes it interesting. A New Review and... the Final Leg of My Virtual Book Tour!
" Hershman's other strength is her ability to keep the reader on her toes. She weaves the warbly, neon threads of magical realism together with the steel rods of science, and the effect often is very satisfying." 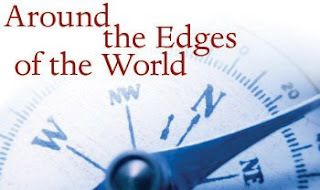 And - I have arrived at the final stop on my Virtual Book Tour, at Debi Alper's blog (which I invite you to read more of, she is a very fine writer and very candid about her life and her writing). I have to say that I do have a yearning to be born at a time when I could be part of a writers’ group like the Bloomsbury group or any group who got together on a regular basis to thrash out ideas and inspire each other. And not just artists but scientists too. I remember visiting the Kafka museum in Prague a few years ago and being jealous of his particular set of intellectual buddies (I don't think there were any women). This doesn't happen any more, or not anywhere in my vicinity. Yes, there are blogs etc.., but I yearn for those dimly-lit, smoky cafes and intense discussions about philosophy, physics, creativity, art. For the full interview, the last chance to hear me talking about me me me for a while (! ), click here. Thank you to Debi and all the other hosts on my Virtual Book Tour who were curious and interested, asked excellent questions and gave their own thoughts. All the interviews are still online, just in case you missed one. It's been thoroughly enjoyable... time to retreat a little from the spotlight, I am sure a writer is supposed to be doing something, now what was it..? Umm, ...writing? Ah yes. I am not going to talk about the war. I am not going to talk about stress and anxiety. I am going to attempt positivity, to spread good karma, better energies, through - of course - beautiful short fiction. And this is very short fiction: the post brought me a jewel this morning, The Binnacle's Firth Annual Ultra-Short Competition edition 2008. This is a literary magazine with a difference: the winners and the finalists in this competition for 150-word short stories and sixteen-line poems are each printed on a small business-card sized card, and the entire pack of 50 or so comes in its own box with a painting (by someone like Rembrandt, I would guess) on the front. This is a limited edition, mine is number 29 out of 200, and as well as the pack, I received ten copies of my short short story, Thin Ice, which was a finalist in the competition. I was a finalist last year too and I gave out the copies of last year's story to several friends on my birthday. It was a lovely thing to be able to do, and now I have more to give out. This is such a creative and imaginative way of rewarding the winners and finalists, I am just thrilled by it. If you want to receive a beautiful box of short short stories including your own, enter this year's competition, deadline feb 15th. My virtual book tour is drawing to a close, tomorrow will be the final stop, on Debi Alper's blog. It has been an amazing experience but I am now ready to stop talking about myself and to try and get back to my writing. Of course, this doesn't mean I stop refreshing the Amazon page every hour or checking who has visited The White Road's web site. Of course not! Selling a book requires a lot of work - I almost gave a copy away for free to a friend I bumped into yesterday in a local shop, but luckily she refused and insisted she pay for it. Yes, I need to sell them, I need to accept that. And as I write I just thought of my paternal grandfather, who had his own schmatta (cloth and fabric) business in the East End of London before I was born. Would he have given away his products? I don't think so. I think he would have scolded me for not thinking like a businesswoman. He died when I was seven, I never really knew him, but I like the thought of him watching me now and tutting at my non-commercial behaviour. I'd better try and little harder! PS For those of you who are interested, my book's out of stock in the UK and the US right now, more being printed as we speak (see here for information about where to buy the book). But the damn clock radio is at No 91 in the Amazon UK Bestselling short story list. It's the strong voice, I think. Very powerful stuff.